The efforts of Lanarkshire Police Officers to tackle sectarianism have been honoured by one of the country’s leading anti-bigotry charities. 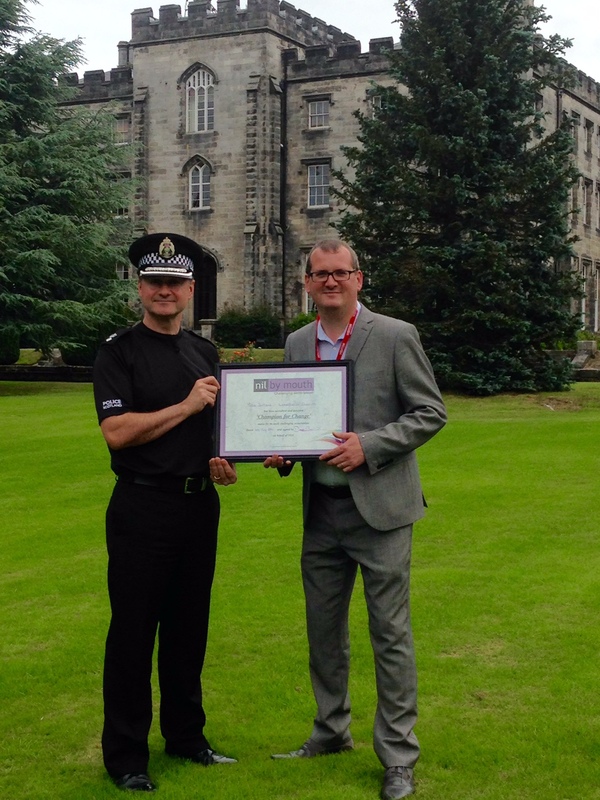 Officers from Police Scotland Lanarkshire Division have been presented with a ‘Champions for Change’ award at the National Police College in Tulliallan by campaigners Nil by Mouth in recognition of a twelve month education and awareness programme ran across schools the area. Dedicated anti-sectarian training offered to all participants on Police Scotland Youth Volunteers programme. Campus Cops working in partnership with Nil by Mouth on a range of school workshops and projects focusing on the harmful impact of sectarianism. The Hosting of the first ’Kiss Bigotry Goodbye’ football festival last month at Ravenscraig Sports Centre bringing together seven high schools from across Lanarkshire. The ‘Pause B4U Post’ campaign aimed at raising awareness of the consequences of posting sectarian abuse online. Nil By Mouth was set up by Glasgow teenager Cara Henderson following the brutal sectarian murder of her friend Mark Scott in 1996. Since then it has campaigned against sectarianism both on and off the terraces. Last year it worked with more than 7,000 pupils in over 100 schools across 22 local authorities. Its ‘Champions for Change’ scheme recognises best practice in challenging sectarianism across Scottish society.